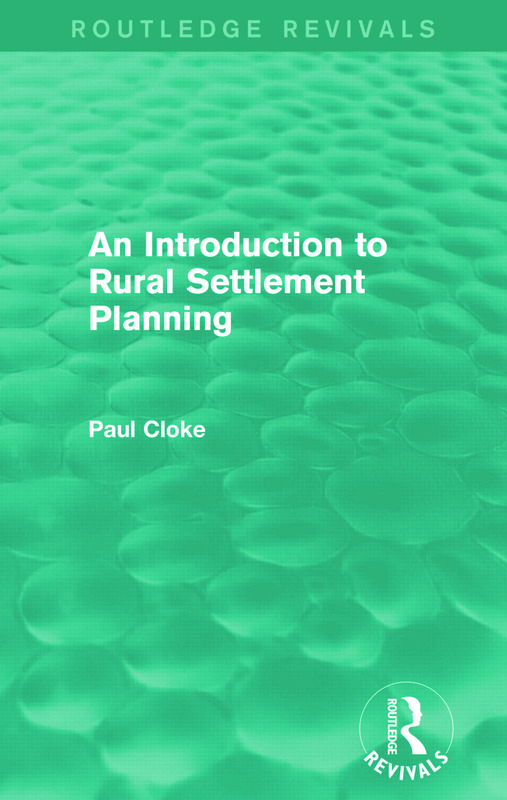 This book, first published in 1983, provided the first thorough and informative introduction to the theory, practice and politics of rural settlement planning. It surveys the conceptual and ideological leanings of those who have developed, implemented and revised rural settlement practice, and gives detailed analysis of planning documentation to assess the extent to which policies have been successfully implemented. Paul Cloke assesses the shortfalls of rural planning and resource management and suggests methods by which a sustainable rural future might be attained. This reissue provides essential background and a comprehensive handbook for those with an interest in rural settlement planning.